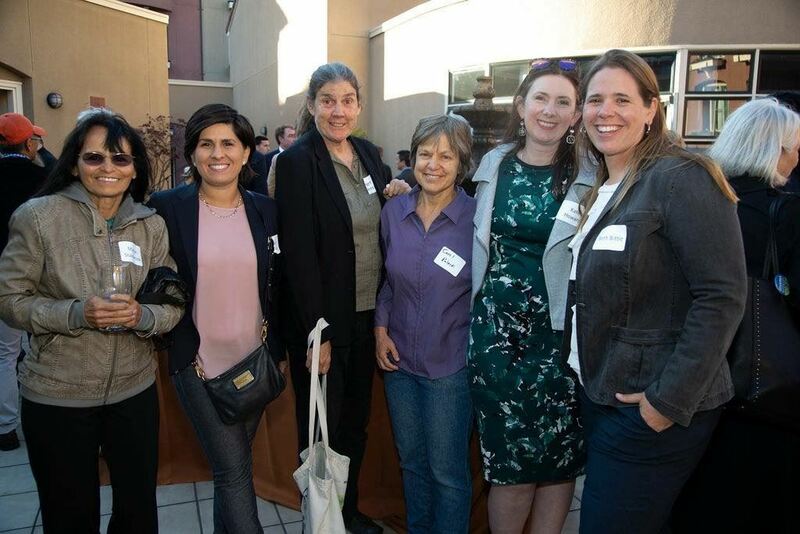 Founded in 1986, and now in our 32nd year, the San Francisco Bay Chapter Gay and Lesbian Sierrans (GLS) was the Sierra Club’s first gay and lesbian activities section, and we continue to be one of the largest in the country. Over the past year, our chapter undertook an effort to evaluate how we could better welcome the diversity of the LGBTQQIA community in the most inclusive way. One of the results of that self-reflection was an initiative to change the chapter’s name to more fully reflect the diversity of our community and membership (including those who do not identify as Gay or Lesbian). Our chapter voted and supported the name change. So, as a result, we will be known as Rainbow Sierrans, a change signifying how we are growing, changing, and looking toward the future, while honoring the path that has led us here. 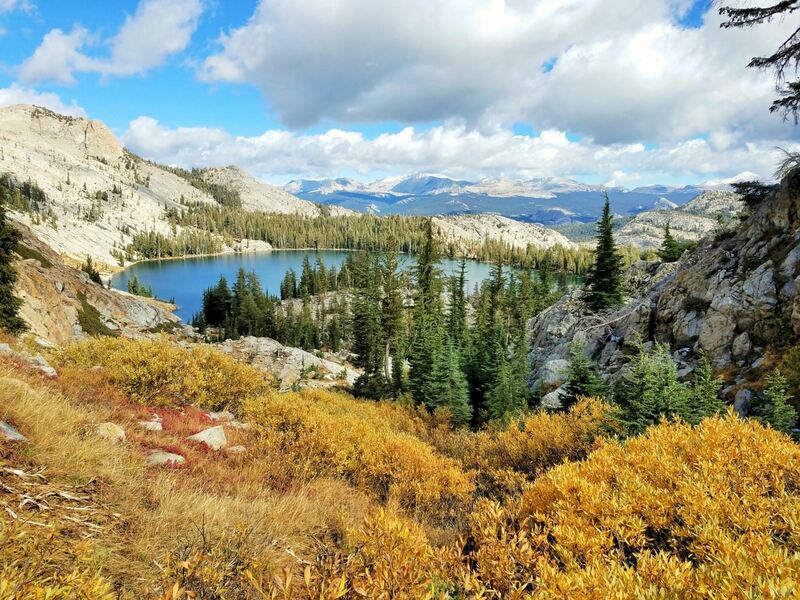 Rainbow Sierrans outings run the gamut from easy urban strolls to vigorous peak hikes; from kayaking and cycling to hands-on restoration and trail maintenance projects. Everyone is welcome on our outings. 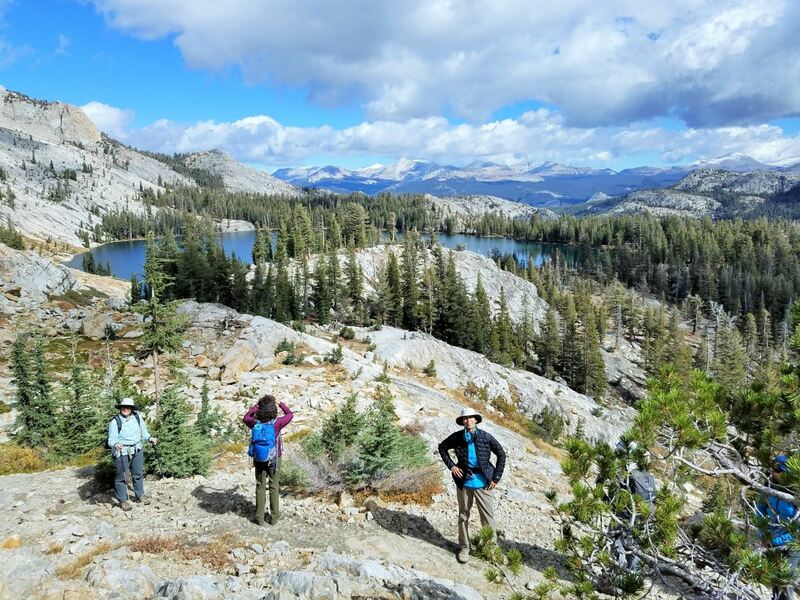 We are an active chapter with many types of outings for beginners to experienced outdoor enthusiasts. 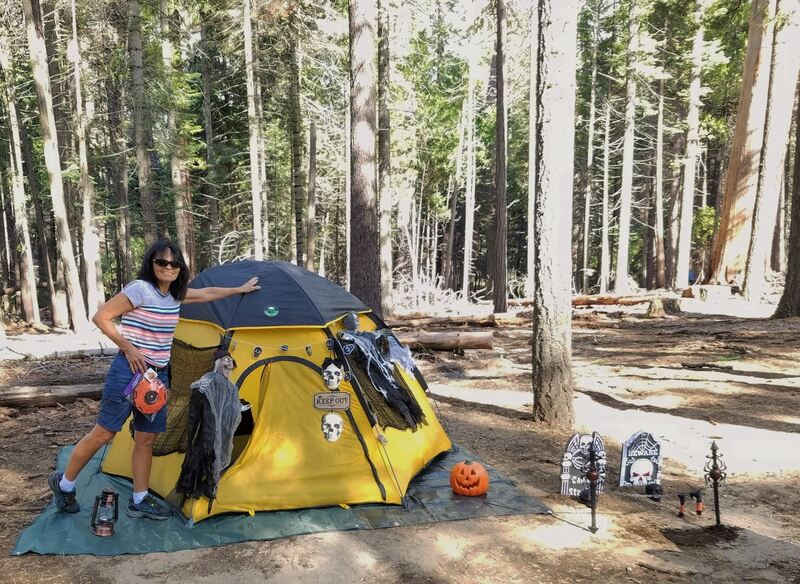 This year Rainbow Sierrans have already held 83 events including car camping, hiking, cycling, kayaking, restoration and clean-up days. In honor of our new name, we held a contest for a new logo. Thanks to Bonnie Marziak, Kim Oberg, Beth Bittle and Zanne for submitting logos. Zanne's logo was selected for the website and Beth's for Rainbow Sierran swag, coming soon! Each will receive an REI gift certificate for $50. 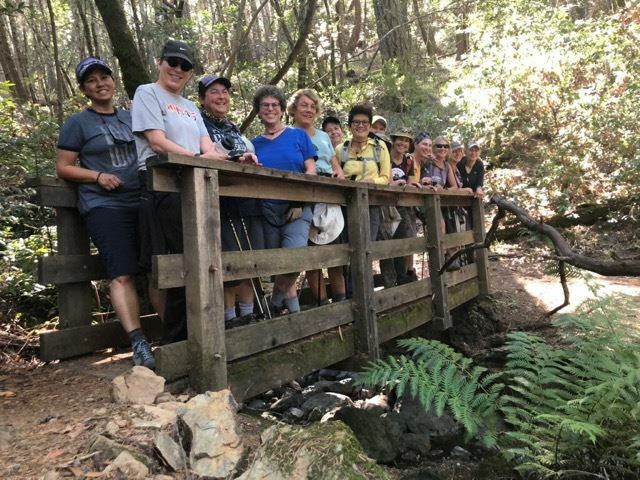 Every year the San Francisco Bay Chapter bestows the Michener Award on a local outings leader who embodies the Sierra Club’s motto to “explore, enjoy, and protect the planet”. Beth Bittle is the well-deserved recipient of the 2018 award. Outings to see the Tarantulas on Mt. Diablo during their mating season. She does an education and awareness talk before the tarantula outing about the habitat and life cycle of the tarantulas. She also talks about the different birds, snakes and insects that we are likely to see on the outing. Kayak trips around Elkhorn Slough to see the wildlife with a naturalist so that members can learn how to protect the marine life in our local area. 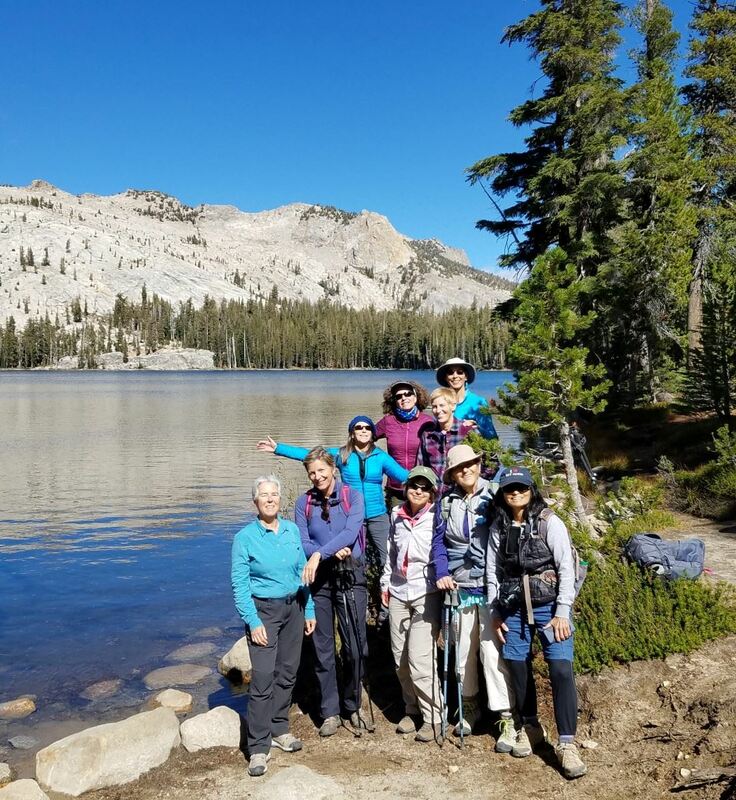 Beth's involvement with the Rainbow Sierrans and the Sierra Club goes beyond leading local outings. Beth has been on the Governing Committee for the past three years. In that time she has served as both outings chair and chair. As a leader, she has worked to promote diversity and inclusion, broaden leadership, support outings volunteers, and expand the types of outings and activities offered by our group. Beth was the principal architect of changing our name from Gay and Lesbian Sierrans to Rainbow Sierrans. Her technology skills have helped us move into the 21st Century. She is also a National Outings Leader, and has planned and led a number of national trips. And she does all this during her free time! Beth has a rich family life with wife Katie and son Rowan. She works for Black Sheep Adventures and is in the process of getting a California Naturalist Certificate. Volunteers are needed to serve on committees for Rainbow Sierrans. Our success as an organization depends on the strength of our membership and volunteers. Please consider stepping in to serve on the Governing Committee in 2019. 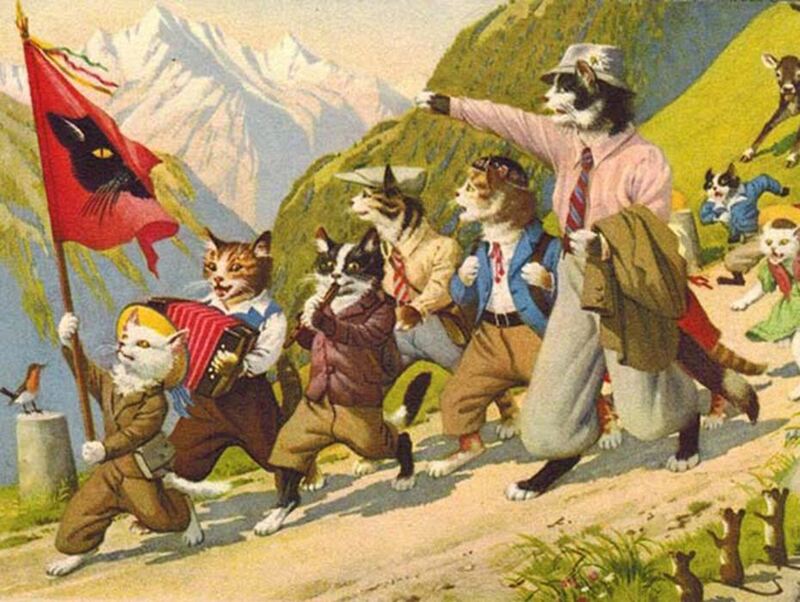 The Governing Committee is a small, hardworking group elected by the membership to lead Rainbow Sierrans and ensure the smooth running of the Club. 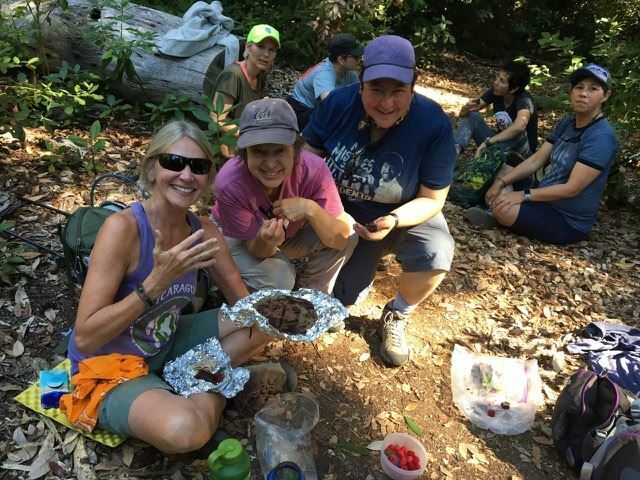 This committee maintains the website, handles membership, produces newsletters, organizes camping trips as well as a summer picnic and a holiday party. Additionally, the chair is the official spokespersons of the Club, the Secretary keeps minutes of meetings, and the Treasurer is charged with handling the finances. The Governing Committee generally meets once a month via conference call. Service on the committee begins in January 2019 and ends January 2020. To serve on the Governing Committee you must be a current member of both Rainbow Sierrans and the Sierra Club. Please contact Beth Bittle at callingu2@gmail.com if you have questions or would like to serve on the Governing committee. Contact Linda at lc0731@aol.com to volunteer. and Governing Committee volunteer Kat Zumbach on drums! 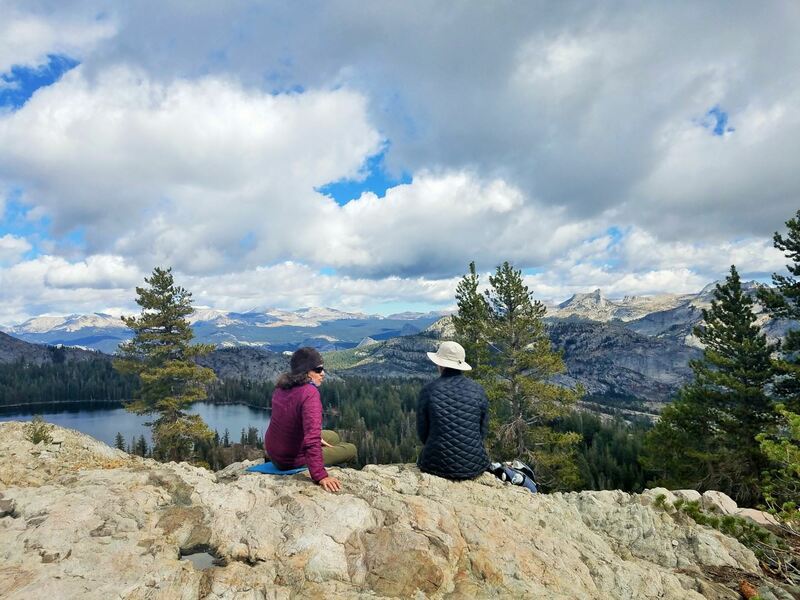 This month, 40 Rainbow Sierrans celebrated a beautiful fall weekend at Yosemite National Park. 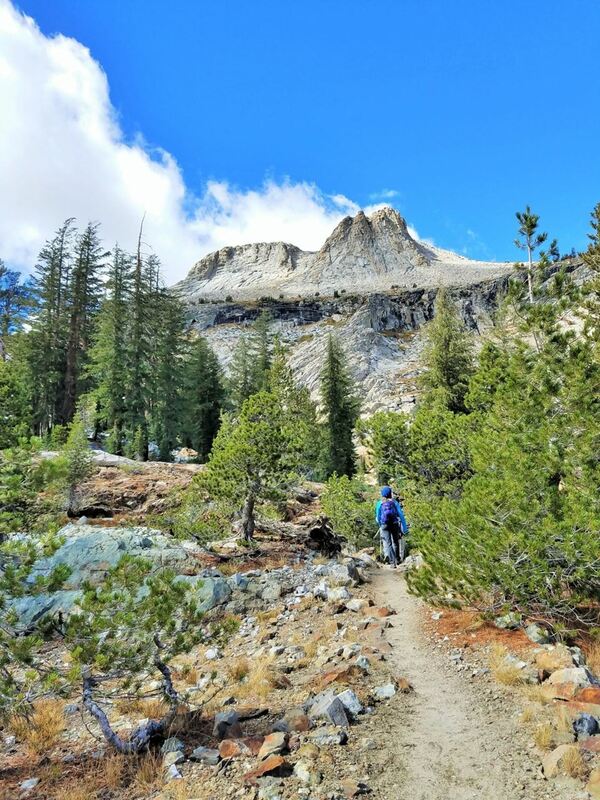 Hiking ranged from valley rambles to waterfall ascents and stunning mountain views. Thanks to Kim and Patty, who played guitar while we sang around the campfire pits and enjoyed magnificent meals and each others company. Special thanks to everyone who pitched in keep camp tidy and transport our Rainbow gear. And not to be forgotten, a big hug to our intrepid trip leaders, Marian, Jenna and Kim. A perfect way to wind down our summer camping season. We descend through a wooded area to find ourselves overlooking the steep rocks leading to the base of North Dome. A bunch of loose rocks underneath my footing causes me to slip suddenly, and my right leg goes under my left leg, catching my right ankle on a rock. Everything seemed to slow down. I saw my ankle twisted in such a particular manner that I knew I needed to straighten it out, and fast. I tried to pull my ankle out of this pretzel-like configuration, but that darn rock was in the way. I could not lift my leg up over the rock and down I went, hard, on my ankle. I shrieked out in pain and when I heard a pop, I knew I was in serious trouble. A number of Rainbow Sierran hikers gathered around me, to make sure I was ok, and guided me to a shaded area. We quickly realized we would need additional help, in spite of our wilderness first aid training. Jenna called 911 and Karen helped me get situated in the shade. Yosemite emergency response was quick: two EMTs hiked the four-plus miles to attend to me. Then a ranger showed up with two horses…what a way to get a free horse ride! (Though definitely not worth all that pain!) We got back to camp after dark. All the campers were incredibly nice to me, making sure I was comfortable, offering me drugs (you know, for pain), food, and lots of love. I was overwhelmed with emotion and felt truly fortunate to be with my Rainbow Sierran friends and loved ones, who made the rest of my campout seem effortless, despite my rather serious injury. Special thanks to Jenna, Karen and Erin, who stayed with me while we waited for the Yosemite Response Team. Thanks to Paget, Anita, and Claudine who waited at the trailhead to make sure we got back to the car safely. Thank you to all the campers for attending to my needs! And, an extra special thanks to Kim Luce, for getting me home safely and making sure I got medical attention before she went home. I am on the mend. Although I won’t be leading hikes for a while, sadly, it is truly comforting to know that Rainbow Sierrans step up to take care of each other when care is needed. I am grateful to be part of this community.